Chinese state media reported on Thursday that China had begun its first joint naval drills with Malaysia  in the Strait of Malacca. According to Xinhua News, Chinese ships taking part in the six-day drills included a guided-missile destroyer and guided-missile frigate, helicopters and transport aircraft. 1,160 People’s Liberation Army  personnel took place in the drills. The long-awaited announcement on the frigate choice for Saudi Arabia’s Eastern Fleet could be made before the end of the year , with a variant of Lockheed Martin’s littoral combat ships (LCS) likely to be the winner. Competition between the US and France has been fierce, as the French hold most contracts to modernise the Western Fleet, while the US Navy has been working strenuously to seal an Eastern Fleet deal. The deal, if finalised, would mark the first international sale of a US littoral combat ship. 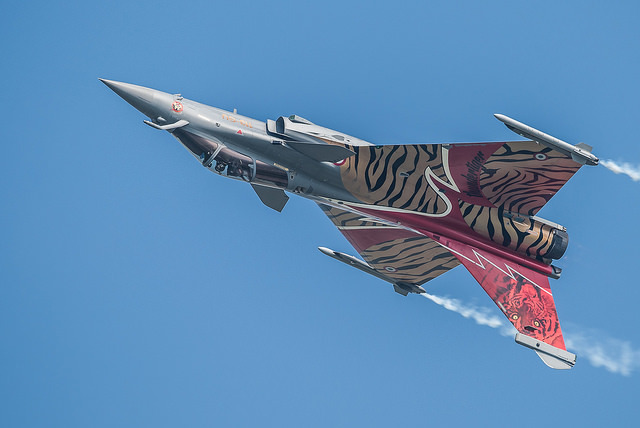 Shashank Joshi examines India’s incredible shrinking air force  over at the Interpreter blog. Calculating that 79% of India’s combat aircraft squadrons and 96% of its battle tanks are Soviet-designed, Joshi explores the future of the Indian Air Force (IAF) amid India’s military modernisation plans. Joshi’s article comes off the back of a recent statement  by the Indian Air Force Chief, Air Chief Marshal Arup Raha that India needs to improve its aerial platforms to create a greater strategic footprint. Over at The National Interest, Kyle Mizokami takes a look at France’s 5 most lethal weapons of war . First on the list is the Dassault Rafale fighter aircraft. France operates 140 of the Rafales, which have flown in combat in Afghanistan, Libya, Mali and Iraq and are almost completely indigenously made in France. Next on the list is the Eurocopter Tiger. France operates two versions of the multi-role attack helicopter: the HAD (Hélicoptère d’Appui Destruction) multi-role combat helicopter and the HAP (Hélicoptère d’Appui Protection) combat support helicopter (check out Australia’s somewhat less successful path to Tiger acquisition here ). Other air power on the list? France’s lone aircraft carrier, the Charles de Gaulle. Also making the list were the LeClerc Main Battle Tank and the Triomphant-class Ballistic Missile Submarine. China’s Chengdu Aircraft Corporation recently revealed its second-generation Wing Loong II turboprop-powered unmanned combat aerial vehicle (UCAV) at the biennial Beijing Air Show. Read more about the drone here  from IHS Janes. Defence ministers from Germany and the Netherlands announced  last week that the Royal Netherlands Army’s 43rd Mechanized Brigade would be integrated with the German Bundeswehr’s 1st Panzer Division. Germany will be upgrading the Netherlands’ Leopard tanks to improve their interoperability with the German force. The move marks the second Dutch army brigade to be integrated with German forces, after the 11th Airmobile Brigade  was made part of the Division Schnelle Kräfte rapid deployment force last year. The BBC has shared  some revelations about Russian involvement in Syria resulting from discussions with the Russian Human Rights Council. Russian soldiers are reportedly contacting the Council with concerns about being deployed to the war-torn country. The Council says that there are legal problems with so-called ‘secret deployments’ of Russian personnel. Additionally, Russian security official Sergei Smirnov  has stated that nearly 2,400 Russian nationals and about 3,000 Central Asians have joined Islamic State. Want a look at some of the more ‘unusual’ military training practices from around the world? Check out this list , which includes underwater handgun assembly, skydiving with canines and drinking cobra blood. Alice Slevison, Mercedes Pages and James Mugg are research interns at ASPI. Image courtesy of Flickr user Peter Gronemann.